I love your galleries of blues. I could look at them again and again, not just for their colour but for all the different textures too. Sea, sky, rock, sand, petal, wing - our world is so beautiful. Looks like we both had the same collage idea! Looking forward to seeing your photos in more detail when I switch the computer on later... a phone screen doesn't do them justice. Wish the skies were blue today. It's absolutely pouring down. Beautiful photos and as you say blue is such a calming colour. I love your montages of blue, CJ, and all the details and textures. Blue has always been my favourite colour; I love its calming effect. Lovely photos. If you looked in my wardrobe, you'd find that most of my clothes are blue. I do try to make a concious effort to add different colours now since I noticed that there's little variation. 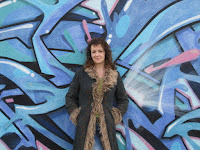 Blue is without doubt my favourite colour, especially the coastal blues fading into grey. Definitely soothing. Beautiful photos. So many beautiful shades of blue! Blue is a very soothing color and I have a lot of blue in my house. Purple is my favorite color and always has been, but I actually find blue to be more of a go-to color for clothes and household things. I think it's easier to use, more versatile. I enjoyed your photo collages, so much to see. 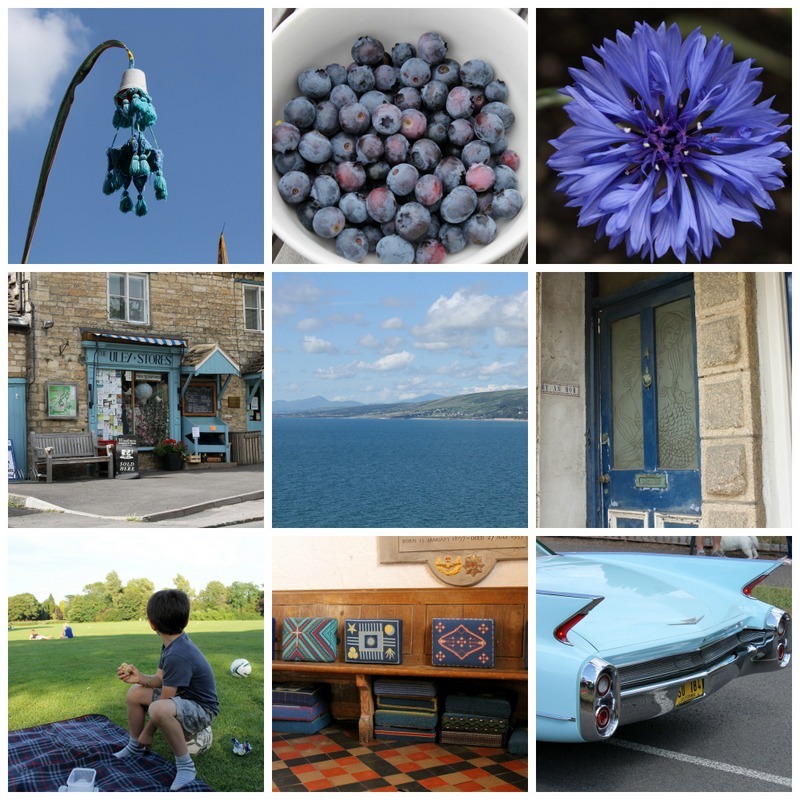 Thanks for sharing your blue sightings. 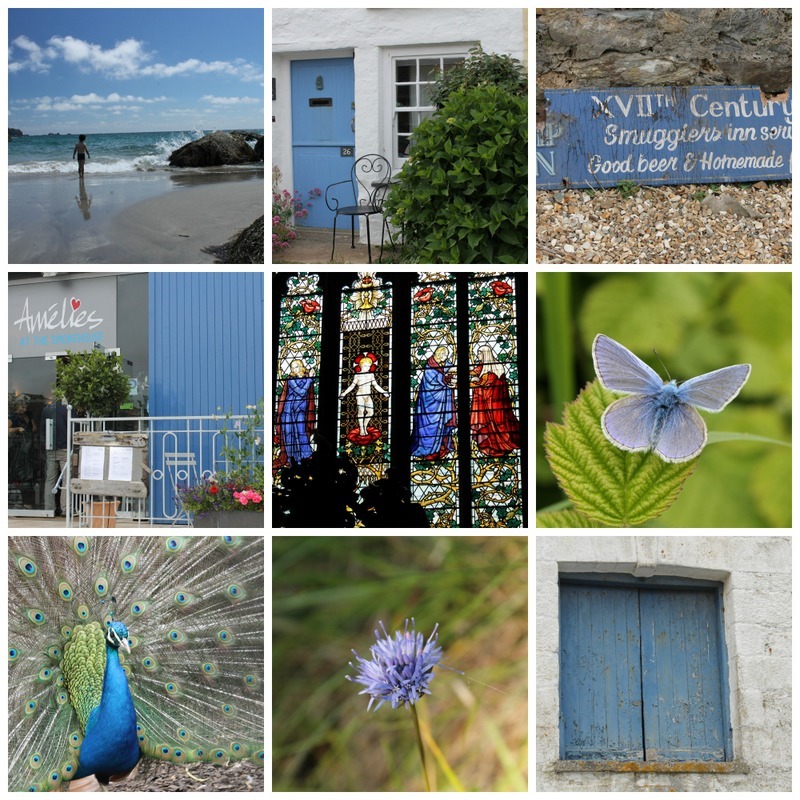 What a lovely blue photo collage. It definitely evokes that calming soothing feeling you describe. Love blue!! I like both the light blues and some of the dark blues as well. White and gray has also been favorites. Beautiful and happy photos you got there. I have just been on top of Rosewall, under a sky of the most perfect Autumn blue. Olly's room is now my favorite color, because of the blue. Soothing and restful is right. Lovely post. Gorgeous collages. You should print them off, and place them next to the one f you in your funky blue coat. i rarely wear blue, but i have a lot of soft, pale bluey greens in my house (especially my bedroom and bathroom) as it is so very calming and quietening. 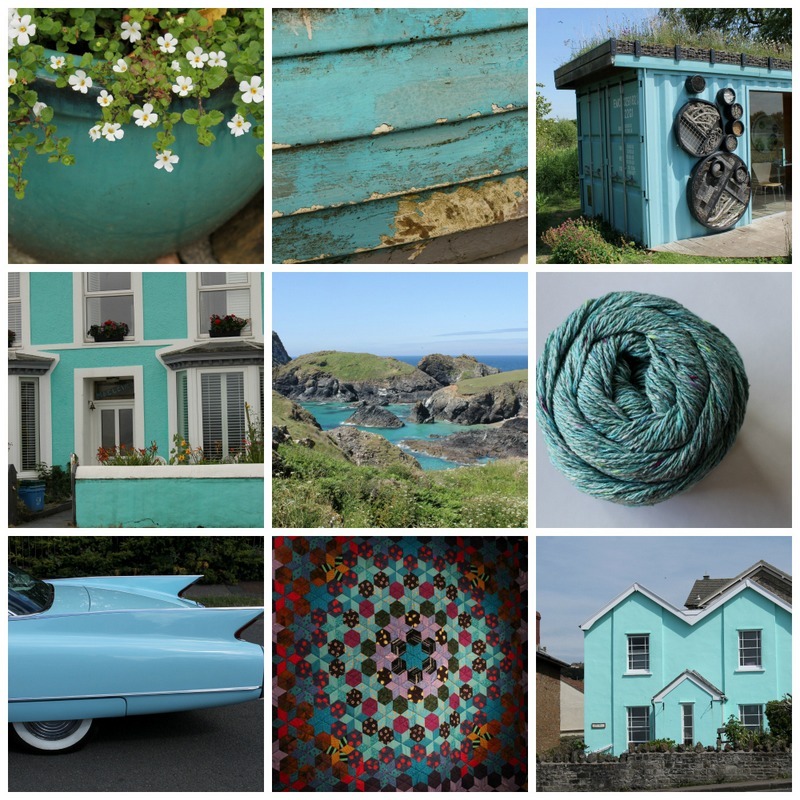 my favourite of your photos is the battered greeny-blue painted wood in the first block of pictures... just wonderful, CJ. Beautiful collages there, CJ; the turquiose and aqua really draw the eye. I wonder when one feels blue what shade of blue it is exactly? Great photos dear C.J. they do have the wow factor. There are so many beautiful shades of blue. I love neutrals with accents of colour, my favorite being shades of yellow, though I have just purchased a lovely shabby chic frame which is duck egg blue chalk paint. I copied off some blue and white wallpaper with birds and flowers and put it in the frame, it looks lovely. I say wow a lot myself for so many things I see are amazing and beautiful. These are amazing photos CJ! The colours are beautiful. The sky actually looks blue today so I'll have to get out there soon. This was a really nice post CJ - love the bit about you and your son. A sense of wonder in everyone is a wonderful thing. Lots of pretty pictures. Those are some gorgeous collages, really beautifully balanced. I adore blue. People say it's cold but I think it just depends which shade you choose.